Learning Sciences and Policy Ph.D. The Learning Sciences and Policy (LSAP) Ph.D. program at the University of Pittsburgh brings three groups of faculty expertise together into a collaborative research and training environment: learning sciences in education; education policy and organizational change; and content-based educational research. Our goal for the program is to produce a yearly cohort of 5 to 8 nationally-competitive research scholars who have the training, track-record and vision to become leaders in understanding and promoting educational change. 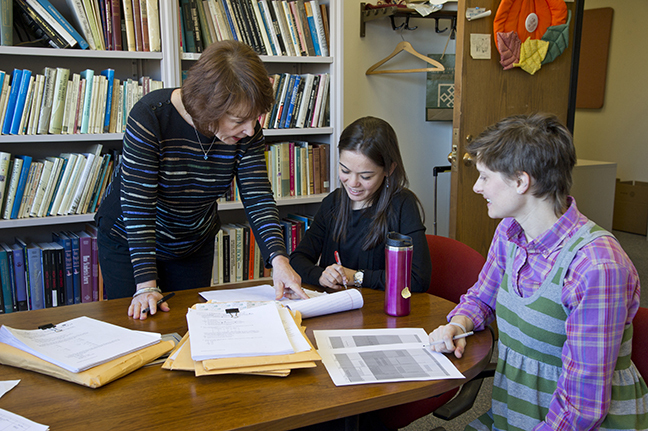 The University of Pittsburgh’s Ph.D. program in Learning Sciences and Policy at the School of Education and the Learning Research and Development Center (LRDC). Why Learning Sciences & Policy? Our program is based on the belief that understanding learning, teaching, and organizations is best undertaken as an interactive system, and that an integrated and coordinated interdisciplinary approach is best suited to understand, design and implement educational change. The program combines disciplines in learning sciences, teaching in the content disciplines, and organization and policy studies with the goal of improving instruction at scale, and is predicated on the idea that successful policy solutions will require learning on the part of educational professionals at all levels of the system. The newly established University of Pittsburgh Learning Policy Center will serve as a vehicle for dissemination of LSAP faculty and student research as well as a location for policy internships. Access to Pittsburgh’s rich talent pool of analysts and research in education policy and learning including research scientists at Learning Research and Development Center (LRDC), policy specialists at the RAND Corporation, research methodologists at Carnegie Mellon and education reform specialists at the Institute for Learning. Admitted students will be guaranteed funding (for 3 years) through research assistantships that will allow them to work alongside active researchers on funded research programs. Policy and design internships with projects including the Institute for Learning, the Learning Policy Center, University of Pittsburgh’s Center for Out-of-School Learning Environments (UPCLOSE), Pittsburgh Science of Learning Center (PSLC), and SWoRD (the Design-based Learning Project). Integrated coursework that covers the fields of Learning Sciences, Learning Policy and Organizations, & Content Area Learning. Rigorous training in quantitative, qualitative and mixed research methods.